Heart of Dance is a 501(c)(3) tax-exempt, public charity. Gifts to Heart of Dance are tax-deductible according to IRS regulations. No goods or services were provided in exchange for your gift. Written acknowledgment of your gift will be sent to the address you provided. 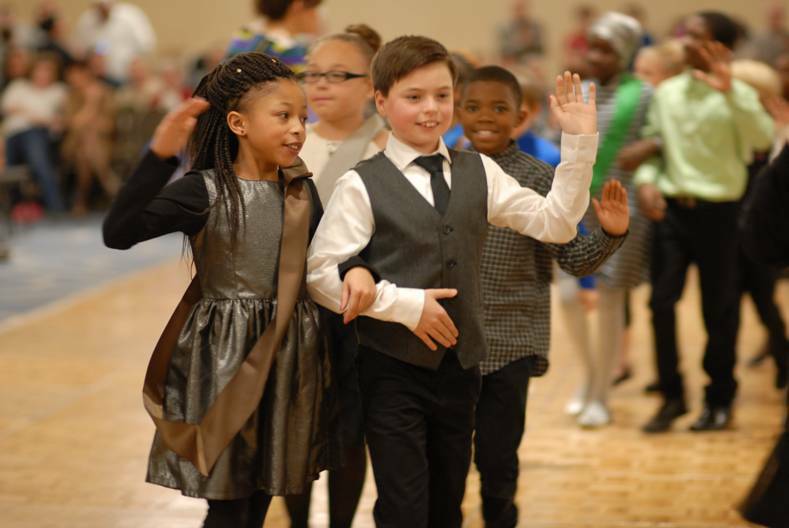 Learn what Dancing Classrooms is all about! Heart of Dance is made possible through the kind generosity of many individuals. Every gift, no matter what size, makes a difference. In May 2016, a fifth grade student gave us 55¢ after the Colors of the Rainbow Team Match. It was all she had, and she wanted it to go towards helping other students receive the benefits of Dancing Classrooms. 55¢ from a ten-year-old student. No donation is insignificant. We invite you to join the Heart of Dance family by making a contribution to support our efforts to provide this research proven and highly respected social and emotional learning program. Interested in establishing a planned or estate gift? We welcome the chance to discuss this opportunity with you! Please contact Ember Reichgott Junge, Director of Development, 612.750.1262. Interested in scheduling a recurring donation? Please contact Janine Premil. Does your employer have a giving program? A matching gift from your employer will maximize your donation! Would you like to support Heart of Dance simply by shopping at Amazon? It's easy! Would you like to make a donation of appreciated stock? No problem. Do you have a car, truck, or RV that needs a new home? Donate your vehicle and the proceeds will benefit Heart of Dance.